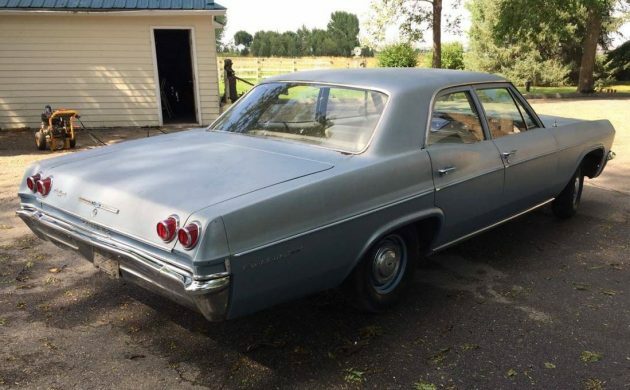 1965 Chevrolet Bel Air With 43k Miles! Barn Finder Pat L has a good eye for a classic and has spotted this 1965 Bel Air, so thank you for that Pat. This may not be the most luxurious car that you will ever find, but it looks like a clean example that has been well cared for. You will find it listed for sale here on Craigslist. Located in Billings, Montana, it comes with a clean title. 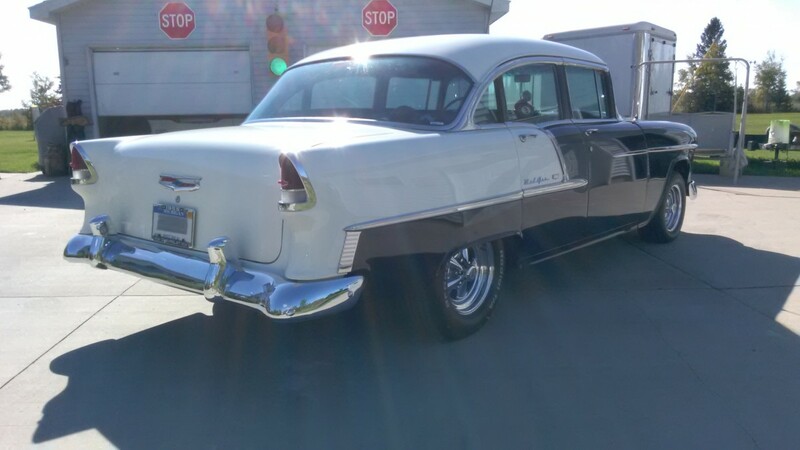 The owner has set an asking price of $5,500 for this Bel Air. 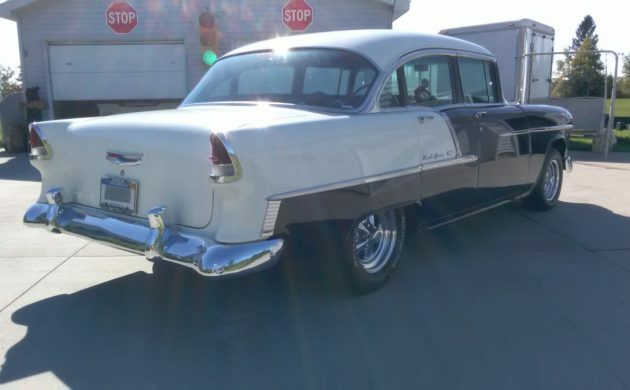 The range-topping Bel Air was certainly marketed at the luxury car market, but cars like this example served an important purpose at the time. These were aimed squarely at the family where you had mum and dad, and 3 or 4 children that needed to be transported in a degree of comfort. As a result, these cars did their job well and were a very successful and important car in their time. This one appears to be in good condition. 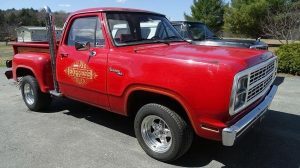 The owner states that it has been garaged for the last 25 years and that it has traveled a genuine 43,400 miles. As usual, it is to be hoped that there is some evidence to back this claim. Overall, the car presents quite well. The paint doesn’t have a mirror shine, but it is consistent. I did notice some rust visible around the bottom of the rear window, but that really seems to be the extent of it. The interior also presents well, although there are a couple of small issues that should probably be addressed. The headliner is generally good, but it appears to be slightly rotted in the section between the back window and the parcel tray. It isn’t bad, and if you didn’t want to go to the expense of having it repaired, then a good upholsterer should be able to make a cover for the parcel tray that curls up over the damage to hide it and prevent further deterioration. There is also a tear in the upholstery in the back of the front seat. I would address this pretty quickly before it has the chance to become a big hole. The rest of the interior looks really good. Under the hood is what was the base engine available in the Bel Air of the day. This is the 230ci Turbo-Thrift straight six, which is backed by a 2-speed Powerglide automatic transmission. This is not a combination that is designed to get your pulse racing, but it is perfect for the car’s designed purpose and should move the car along quite comfortably. 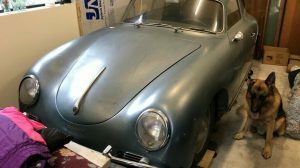 The car is said to be completely original, except for the recent fitting of a new radiator, new fuel pump, and new wheel cylinders. The owner says that the car runs and drives well. This Bel Air looks like a clean car that has been well looked after. There are a couple of little issues that can be seen, but none of these are major problems. 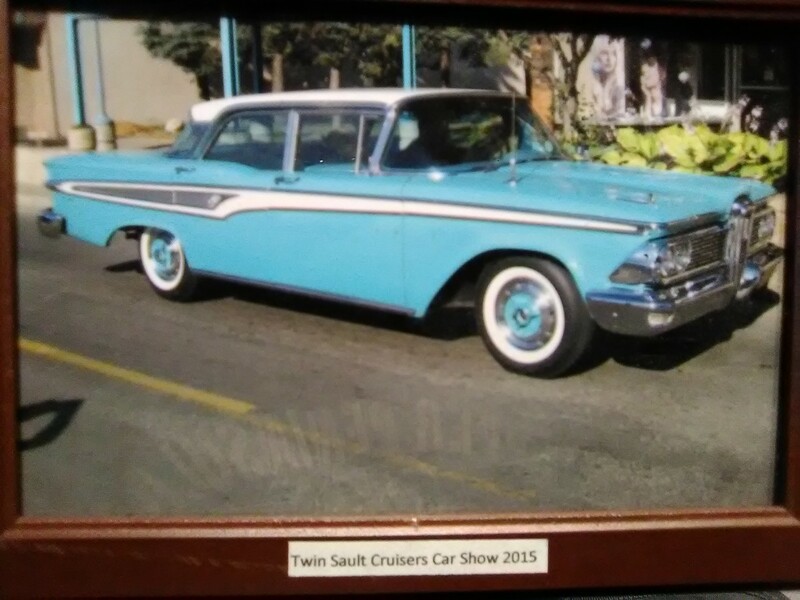 For a family looking at an economical alternative for a classic car, this represents a good option. Not only is there room for mum, dad, kids, and dogs, but there is plenty of room in the trunk for luggage, groceries, or anything else that you care to carry. All you four door haters just move along, nothing to see here. Just a fair driver if the bottom isn’t rotted out and doesn’t appear to be any indications of that. I am not a four door hater, but I dislike 6 cylinder engines a lot. What don’t you like about 6 bangers? V6’s, I agree, but in-line 6’s were the best motors ever made..
Howard, all my life I have had bad luck with inline 6s. Mostly they had rod knocks and smoke a lot, but most recently I bought a 1975 Dart and on the way to the mechanics house the push rods bent and I had to rebuild the whole engine. After the rebuild, it still was a gas guzzler. I get better mileage with my V8 Dart automatic than with the slant 6 stick. I will stick with V8s that will run even after 20 years of stilling still. I suppose. Problem with ( gas)6 cylinders, is people drove them too hard and didn’t maintain them right. I made my living with 6 cylinders, diesels mostly, but put millions of miles on them. To this day, it remains the only engine configuration still used by the trucking industry. Hey people, 2 doors are overpriced….and over-rated…If your gonna take the family/friends out, 4 doors is the way to go…. …and they can be customized just as well as 2 door cars. It looks a little different, but what the hey…??? 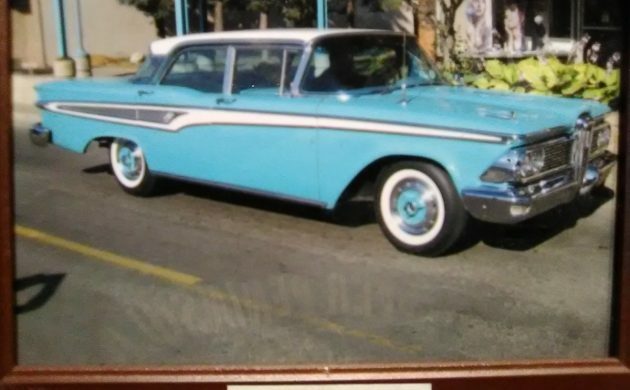 Actually, by ’65, the Bel Air was second from base to the lowly Biscayne. 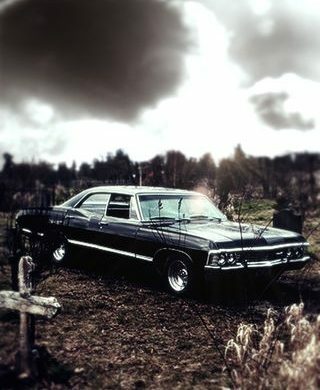 Impala was top dog, surpassed only by the mid-year entry, the Caprice. Still, a fine example of an original-looking mid-range sedan. If one doesn’t mind the extra doors & lack of a V8, this could be an inexpensive entry into a classic. while I fixed what few faults this car has. 6 banger in this car is almost bulletproof. of Kentucky one summer vacation. too nice a car for all that. Full size 65 chev is a beautiful car.nice lines.awesome taillights.I love it.buff it out.put on nice wheels.only a convertible would top it. Seriously though, it would probably outlast anything you’d get off of any showroom floor nowadays! Young kids who don’t often see cars with manual windows typically think they are cool or hilarious. Seeing two window cranks on one door would probably make their heads explode. “Range topping Bel Air?” Please hire a writer with some expertise. The Bel Air was top model only thru ’57. The ’58 introduced the Impala and ’65 was the first year for the Caprice. Only the Biscayne stripper was lower in the model line-up in ’65. In 65 my parents bought a red, 2 door, Biscayne. Three on the tree, 6 cyl with radio and heater. It was on sale for $1850.00 but was a bait and switch car. They only had one and the ad was to run for one more week. Dad finally got it, but had to pay $2200.00 It made the trip from Missouri to Arizona several times. We had it until 73 when they traded it on a new Ford LTD. 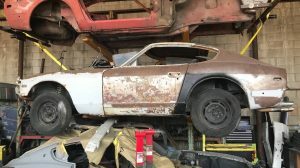 It was such a good car, Dad turned around and bought it back for $100.00. Would be great if the naysayers would keep the snarky remarks to themselves. I have been around the car business since 1973, and have always enjoyed cars such as this that do not fit the mold. Although I don’t know him, I always enjoy the writer’s positive spin and write ups on the vehicles presented. If you don’t agree or find an error, a private message may be in order, not some snotty banter trying to show yourself as more knowledgeable or an expert. Would be nice if folks like Keller could keep their snarky comments to themselves. I’ve been around cars since 1973, and always enjoy the presentation by the writer, and his polite and positive spin. Especially on other than the mainstream or trendy vehicles. if you are trying to impress, you are off base and embarrass yourself by the remarks. If you have a valid point, a private message would be more appropriate rather than an attack on the man’s work. Sorry if I offended you, but the writer made 2 blatantly false statements, the other being that this car was directed at the luxury car market. In those days, NO Chevy was directed at luxury buyers, and certainly not a Bel Air. I know that, and I’m no expert, just a guy who was around then (I was 12 in ’65), and liked cars. A friend’s father had a 65 Impala V8 4 door hardtop, one model up, and sleeker than this Bel Air, but it was not a luxury model, either. The Caprice would have been closest to “luxury,” but even that was hardly an Olds, Buick, or Cadillac. My intent wasn’t to be “snarky” per se, but it’s annoying that do many online articles about classic cars contain bad information. most people dont want fourdours. they are just as classic and fun as any two door. i have a 66 belair fourdoor. had the 6cyl powerglide. put in 454 and turbo 350. lots of fun. i like fourdoors. they look really nice with nice paint, wheels and tires. the stock 454 is an amazing engine. it will run circles around any sstock small block. old school small bblock. 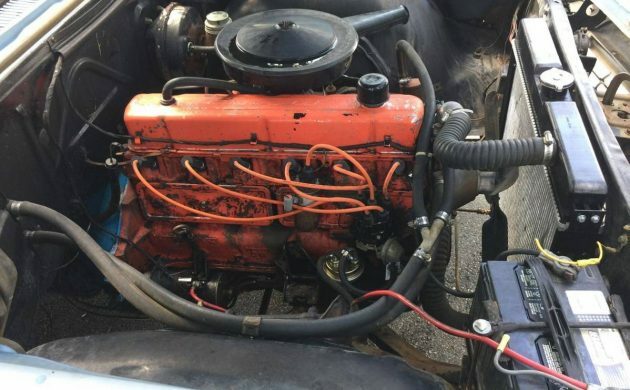 new small block tech is hard to beat. unless its a new tech big block. big blocks rule the road. they always will in my car. The 1966 Belair 4 dr will always be a favorite of mine. My folks brought us back from 2 years in the Virgin Islands in 1967, and bought a used one in Ohio, which we drove back to Georgia, which was home again. It was our family car, and on Christmas day 1970, they hooked up out 1966 Volvo, loaded up with 4 kids and a dog, and we moved to Corvallis, Oregon. I can’t imagine that trip being successful, but the 283 powerglide combo took us all the way. The car remained with us for years, we all learned to drive on it, and it was a shared car among the kids. Change the interior to blue, add a 283 and a 3 speed and you’d have one of my Folks cars. It was a good car, honest driver. Not fast but could get out of it’s own way. 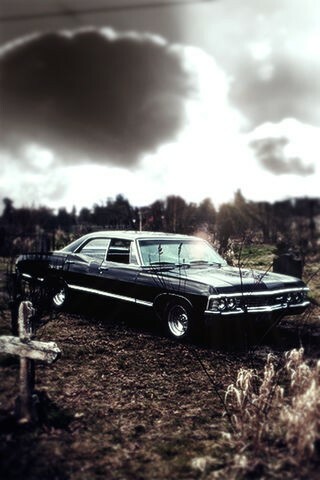 Dad traded it in on a 68 Impala. Saw it about 6 months later with the headlight area rolled under from rearending someone, hated to see it that way. I think the writers description is spot on. These cars were aimed at exactly who he said they were for. In ’65 a car wasn’t this $50K dollar 2nd home, they were strictly utilitarian. Used and parked. Every family could afford one. I believe it was the most popular Chevy ever, selling way over a million units. 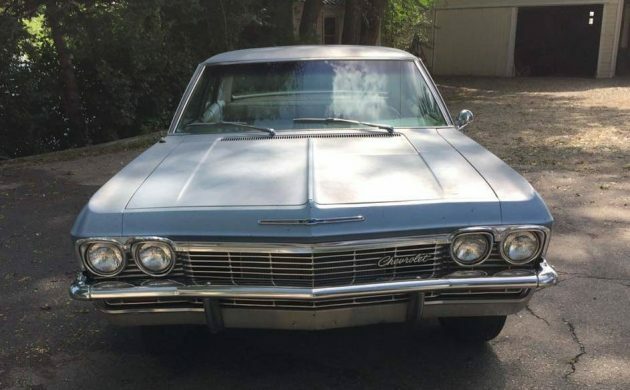 My grandfather took it up a notch, and got the ’65 Impala 4 door, their most popular model, but Bel Airs were close behind. I’d say this is the nicest, most usable, affordable classic to come through here in a while. Why hasn’t anybody mentioned the odd combination of the blue exterior and the brown interior? The brown interior was a common combination with about every color and not at all odd. These Chevys were really durable cars. They were used and driven hard as Taxis. 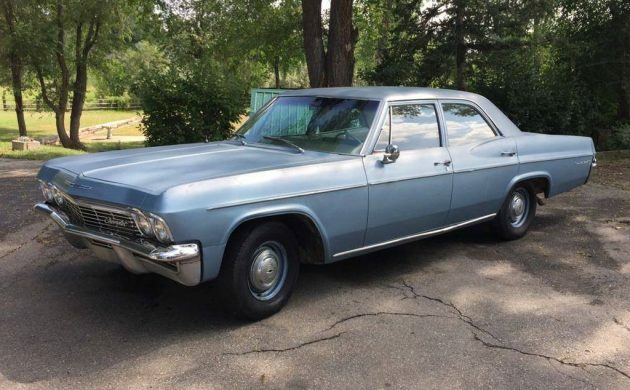 I put a lot of hard miles on ’65 to ’68 Chevys in this same 4 door, 6 cylinder automatic configuration around the streets of El Paso and what passed for streets in Juarez. They took a hard pounding every day in the hands of cab drivers like me and always got you home. Not odd for back then. Durable and practical as can be!! I’d love to have this one. Rust around the back window is the scourge of 60s cars! If water’s getting in there, it’s ending up in the trunk. No pics are provided of the trunk floor unfortunately. The back window will have to be removed, the lip of the opening repaired, and the window sealed back in place. Then whatever’s going on in the trunk will have to be addressed. For me, with early to mid sixties chevys it’s not the number of doors, but the number of taillights that count. I am sure a lot of these were sold just on their honesty and lack of pretense. ….errr… feature set, not ease of repair, value, ownership costs or longevity. The whole lease, dump, lease again thing. This sort of Chevrolet was a long term proposition play I would suspect. Del, I disagree. I think it is worth every penny. Insurance costs are low, gas consumption is low. Ok, so it’s not a huge, honkin’, road ragin’ machine. Every car has its purpose. This one is ringin’ my bell because my 2003 Dodge 4×4 is killin’ me with gas!! Just killin’ me!! This was a really good year for Chevys. Also, the last year for the 230 and first year for the 250 in the full size line. Amazing how you could upgrade in engines for such short money in those days. Don’t know what part of the country you are from Del, but this car could easily fetch 25% more of the asking price in the Greater Toronto Area. Good rust free classics don’t grow on trees. 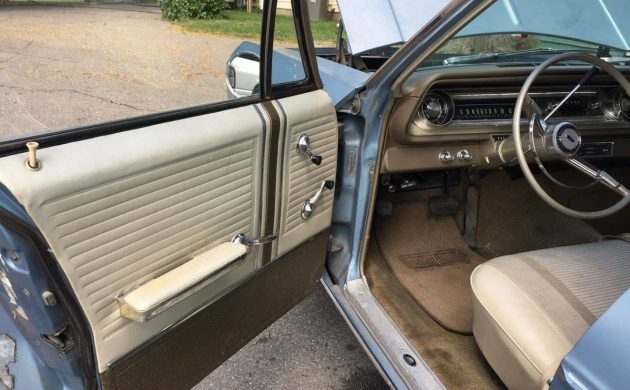 I think the late 60’s Impalas made great looking 4 doors. Yes. I agree. Price would be double in Toronto. Everything is over priced there. It may be worth a bit more. But its not that desirable a model. The color is boring and no V8 is a deal killer. My dad had a 1966 BelAir in exactly this color but with a light blue interior. Biscaynes and BelAirs had two rear tail lights the Impala and Caprice had three. Kind of Chevrolet’s version of the Buick portholes! Biscaynes had almost no exterior chrome, the BelAir some and the Impala and Caprice even more. I think this car is fairly priced. I would make it a daily driver. 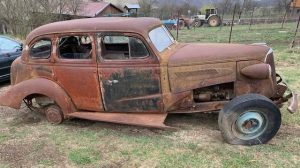 Just add an air conditioning kit, fix the small amount of rust and get a cheap paint job and enjoy it!